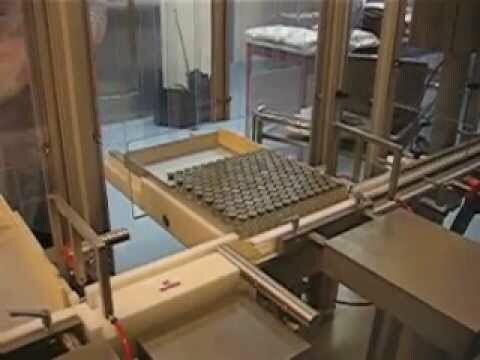 This modular Capping Machine can handle dip tubes, push on caps and screw caps. The AVM capper is mechanically driven with an under-frame integrated control cabinet. 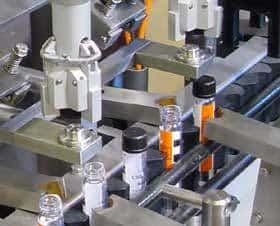 Uniquely, a labelling station can be integrated into this machine for round containers making the unit space efficient. 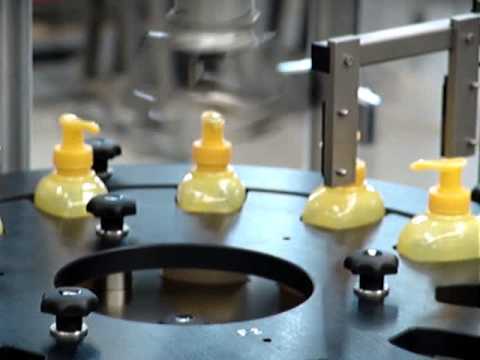 The bottles are fed in a single lane to the machines star-wheel. 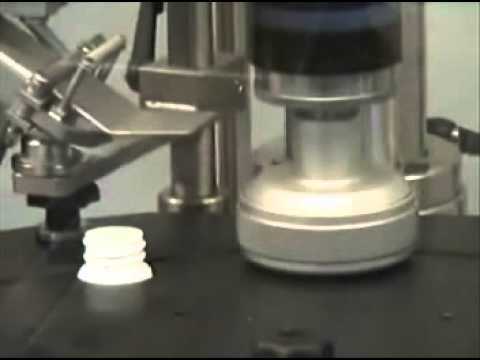 Sorting and feeding devices feed the caps to the capping heads where the caps are applied onto the bottles orifices. These capping heads can be torque controlled using either servo or clutches. Additionally, an induction sealing unit can also be integrated to the machine. This can be placed between a capping and re-torqueing head. Nitrogen Purge can be fitted to flush both container and the underside of the cap before closing. The whole machine can be enclosed and nitrogen purged. In-Line Capper. The new Capper from Deckert is able to cap at high speeds without using a turret and transfer wheel.